Sautéed shredded prawn with assorted vegetables (鳳城炒蝦絲) - the chef has taken the classic dish from Scholar Jiang (江太史)'s kitchen and adapted it to a new ingredient. Instead of the usual soft-shell turtle, the main ingredient is now prawn. This is yet another dish showcasing the chef's knife skills, and the shredded prawn delivered a pretty bouncy texture to the bite. Sautéed quail with asparagus (蘆筍炒鵪鶉甫) - I love quail for their gamey flavors, but this was honestly a little underwhelming. It's a classic, and the flavors were all there, but it just seemed a little simple. Plus I do love my pigeon and quail somewhat on the raw side, so this would seem a little "overcooked" by comparison. In the bowl we have a chunk of soft winter melon, plus crab meat, duck, baby lotus seeds, loofah...etc. Braised garoupa fin in traditional style (古法炆斑翅) - always one of my favorite dishes when it's done well. The accompanying garlic was delicious, and I could smell it as soon as the dish hit the table. The shredded lettuce is another display of knife skill and care taken in the presentation of the dish. The fin itself was wonderful - the skin having been fried in oil before braising. Kailan in superior stock (上湯蘭度花) - instead of the four treasures we usually get, tonight we only had the kailan (芥藍). The chef has, of course, only served us the stems. But he took care to split the ends so that they would curve out and look like flowers in bloom. The superior stock was still really delicious with ham flavor, but kailan didn't absorb as much of it as radish and other veggies. Double-boiled pear with white fungus (雪耳燉雪梨) - another classic dessert, and perfect for this weather. I love both the taste and the texture of pear, and there was plenty of rock sugar to make things sweet. 2004 Bollinger Grande Annee - nice and a little toasty. 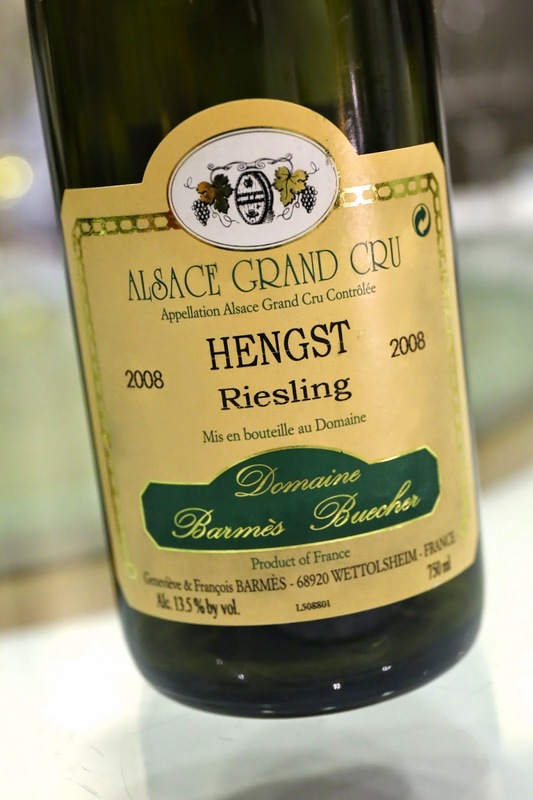 2008 Barmès-Buecher Riesling Hengst - ripe and a little sweet on the palate, with good acidity. Full-bodied. Very big and plasticky nose, with nice marmalade notes. 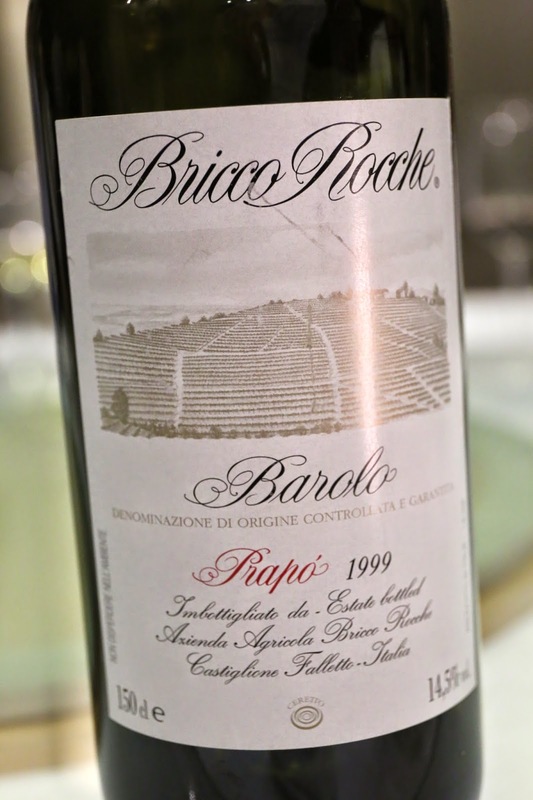 1999 Ceretto Barolo Prapò from magnum - decanted for an hour before drinking. Nice notes of dried fruits. Very lovely. 2005 Vincent Girardin Puligny-Montrachet 1er Cru Les Pucelles - nice and buttery. Wonderful on the palate. Ripe but not over-ripe so it wasn't bitter.